« Location, Location, Location–Do You Live by a Landfill? 1. 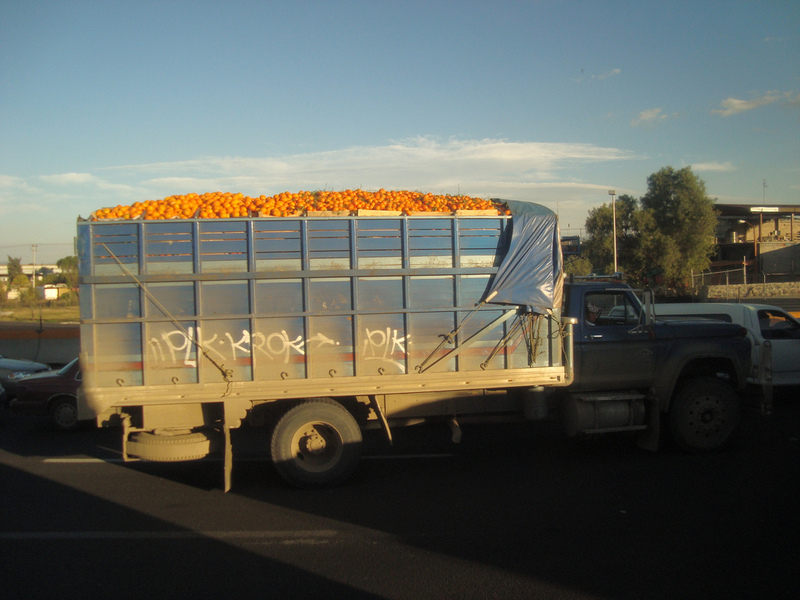 Fuel: Manufacturers often transport orange juice hundreds or thousands of miles. The oranges or concentrate may come from Canada, Brazil or another country. 2. Packaging: Most processed juices come in plastic or cardboard packages. Many people don’t recycle the containers, and they end up in landfills or incinerators. Plastic production requires oil and leads to additional drilling. Cardboard harms the environment through increased logging. 3. Water: It takes 44.2 gallons of water to produce one cup of processed orange juice, according to the Sydney Morning Herald. One reason is that evaporation is required to concentrate juices. 4. Pesticide: Compared to most other foods, farmers use more pesticide and fungicide to grow oranges. Pesticides often cause unintended harm to animals and insects that do not threaten crops. Sometimes they also find their way into fruit juices. Traces of fungicide were found in products from Brazil during December 2011, according to Bloomberg News. Studies have found that this type of fungicide may cause liver tumors in animals. A. Buy oranges and make your own. If possible, compost the peels. B. Purchase it in a large container that you can easily recycle. C. To reduce pesticide and fuel use, obtain organic or local products.